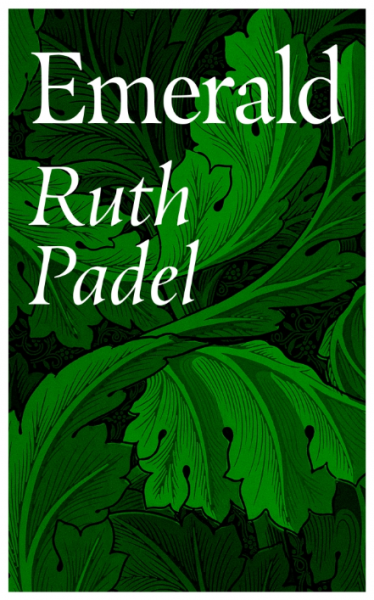 The irrepressible spirit of green guides Ruth Padel’s new collection Emerald – in terms of inner and outer growth, mysterious stone tablets and the lucent mineral itself, ‘a seam / of dazzle green’. Emerald is a tender and sustained honouring of the author’s mother Hilda, and the particularities of her dying, in 2017. ‘This is to do with lostness’ reads the opening line of the opening poem, and Padel uses the emerald as her lodestone, her light-in-the-dark for ‘bringing life / back from the dead’. The question of loss and how to begin to articulate it (or not) has occupied poets for millennia. I could not read Emerald without thinking of two recent collections also written in response to grief. Denise Riley, in her long sequence ‘A Part Song’ from Say Something Back, switches tonal registers in knowingly torturous efforts to reach a lost son. Meanwhile, the ambiguous space of an absent mother fills Emily Berry’s Stranger, Baby, as a grieving self undergoes multiple iterations towards a sort of tentative acceptance of what is no longer here. Emerald, which deserves to be appreciated alongside these two collections, is different again, restless with adventure and rich with cultural and historical references although, refreshingly, they are borne lightly. Above is the same as below. by the kettle in a wooden frame. where a hare was sleeping a moment ago. triggered for instance by a mother’s death. Here they are the old monsters. Another way of examining, quite literally, the matter of grief sees Padel as scientist-poet catching tears with a pipette and examining them on a microscope slide before installing the ‘dark field’ light technique. There’s no one left to hold the sky. the bedrock question till too late. The poem ends with a conflation of flight-as-death, as the air of the nursing wing and the mother herself are imagined lifting ‘into the smoke of ordinary life’. […] is a token of rebirth. Emerald is book of a wild and generous imagination from a writer at the peak of her powers. It offers up a rich excavation of the truths and mysteries found in grief – and should be of interest to any reader concerned with the limitations and beauty of the human condition. Articulating the limitations of poetry-as-elegy Padel writes gracefully: ‘All we have all we ever have are words’ and it seems fitting that from the midst of ‘lostness’, Padel has created a collection that is very much alive with uniquely restless, questioning intensity. You can find out more about Emerald by Ruth Padel on the Penguin website. If you’d like to review us or submit your publications for review, contact Will Barrett at will@poetryschool.com or Ali Lewis at ali@poetryschool.com.